AUGIWorld is the official magazine of Autodesk User Group International (AUGI), distributed on a monthly basis to all AUGI members around the world. In the June 2016 edition, Gareth Spencer, BIM Consultant working for GRAITEC and certified professional in Revit Architecture and Structure, presents the advantages of using GRAITEC Advance PowerPack for Revit for enhancing concrete detailing. Gareth explains the necessity of modeling reinforcement in the 3D Revit model, and introduces the GRAITEC Advance PowerPack for Revit as a versatile add-on for Revit, which can help users work more efficiently. Transversal Distribution, which automatically generates transversal rebar sets with multiple spacing for linear elements. Trim/Extend, used for adjusting the created reinforcement to the shape and particularities of the host element, in a quick and intelligent manner. Dimension Annotations, a set of tools for automatic generation of dimension lines for overall dimensions, grids, external geometry, structural, and openings. GRAITEC, international BIM and CAD software developer, announced today that following the rapid success of the PowerPack for Revit®, which has seen more than 3000 licences delivered worldwide in just over one year, GRAITEC has opted to reduce the annual subscription price of the PowerPack for Revit® to below $150 per user. This move comes as an effort to make the PowerPack for Revit® more accessible to a wider Revit® user-base and to further accelerate uptake of its Revit® add-on worldwide. The current version of the PowerPack for Revit® offers over 60 practical tools covering a broad spectrum of basic and advanced everyday user-needs. 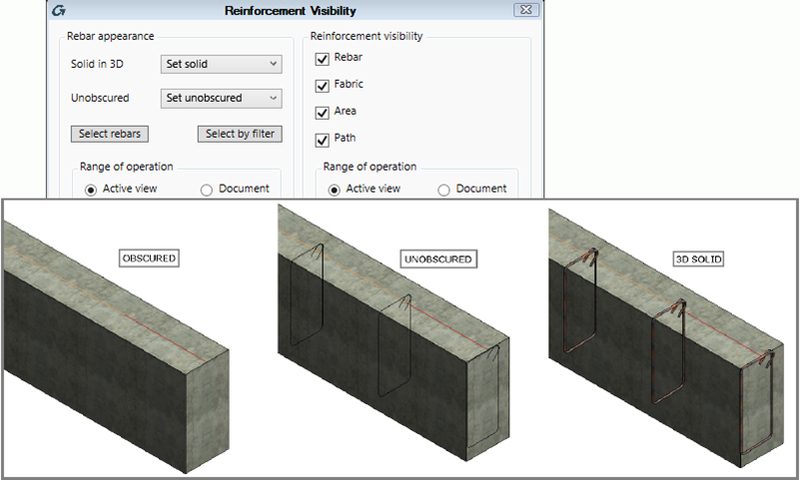 With tools for browsing and loading families graphically, converting libraries of 3D CAD files to Revit® Families, quickly placing and displaying rebar in concrete elements, even password protecting your personal Revit® Families and so much more. Now every Revit® user across the board can easily identify one or more PowerPack tools that will address a laborious process. Customers who have already purchased the PowerPack for Revit® will also benefit from the change as they will see their subscription fee reduced to the new price on the anniversary of their contract renewal. As an approved Autodesk developer partner, GRAITEC has created a wide range of add-ons for Autodesk products for over 25 years. GRAITEC, international BIM and CAD software developer for AEC, and Autodesk® Platinum Partner in US and across Europe, is delighted to announce the next instalment of the popular add-on for Autodesk® Revit®, GRAITEC Advance PowerPack, which now includes a considerable range of tools for reinforced concrete modelling and management. The PowerPack for Revit® includes many tools that generally aid daily practices making it very attractive for any Revit® user looking to save time and improve their experience, but the latest version of the PowerPack for Revit® includes even more general productivity tools aimed at improving every-day use that make it extremely hard for the even the most experienced Revit® user to ignore. 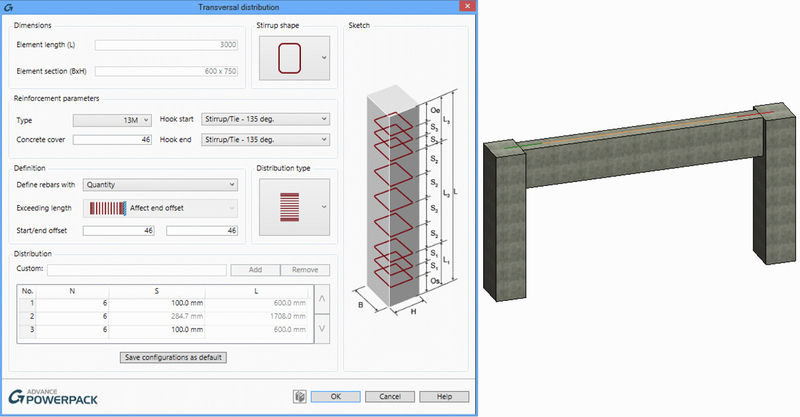 The biggest difference in this release however, is the introduction of an impressive range of practical tools and functionality around reinforced concrete modelling and documentation. GRAITEC clearly aims to strengthen its presence in the structural sector and, by delivering essential tools to manage rebar in Revit®, entice both users of traditional 2D RC systems and their Autodesk® Advance Concrete users to migrate seamlessly to Revit®. Carl Spalding, GRAITEC Product Strategy Director, comments: “Revit® is widely recognised as the go-to product for BIM modelling and is fast becoming a robust multi-industry BIM platform. 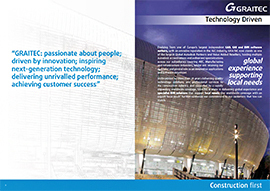 GRAITEC strategy is to become a leading worldwide BIM technology provider, combining our and Autodesk technologies to deliver real benefits to customers and accelerate BIM adoption around the world. These latest additions to the PowerPack for Revit® will bring speed and efficiency to modeling rebar in Revit® and make the world of BIM for reinforcement considerably more accessible to the market and Revit® community”. A slick window arranger which allows all active window views to tiled, easily adjusted and all views cantered. Simple dialogue to change the visibility state showing or hiding reinforcement in an element. Expand area reinforcement to slabs of any irregular shape in one operation. Project browser allows you to quickly show or hide elements in the model by instance or category. Password protect your Revit® families with a secure watermark with the Watermark Manager. More over the PowerPack tools are conveniently grouped into categories and saved on their own ribbon which can be easily accessed by switching between Ribbons using the dropdown menu “Ribbon Customization”. Click here to view the full range of tools available in the PowerPack for Revit®. A free trial version of the GRAITEC Advance PowerPack for Revit® is available to download from the GRAITEC PowerPack web page, and an updated trial version will also soon be available on the Autodesk Exchange App Store. A full license of the PowerPack for Revit® can be purchased directly from your local GRAITEC office or representative and from the Autodesk Exchange App Store – when approved, or included as a no-cost benefit to customers who purchase or renew their Revit® subscription contracts through GRAITEC. PowerPack for Revit – Boost your productivity! GRAITEC, an international BIM and CAD software developer for AEC, and Autodesk® Platinum Partner across Europe, is delighted to announce its Advance PowerPack for Autodesk® Revit® 2016, now available to try and buy on the Autodesk Exchange App Store. GRAITEC Advance PowerPack for Autodesk® Revit® is packed with a wide range of powerful tools and utilities that deliver increased productivity and efficiency for Revit® users across all industries. The Autodesk Exchange App Store (also accessible from within the Autodesk product) is an extensive online market place for third-party add-ons and extensions to Autodesk products. GRAITEC Advance PowerPack for Autodesk® Revit® is available as a free trial and to purchase as a 12 month desktop subscription from the Autodesk Exchange App Store. 24 and 36 month subscription options can be purchased directly from GRAITEC. Revit users can access a free trial of the PowerPack from the Autodesk Exchange Store here. GRAITEC customers (who hold a current Revit product subscription with GRAITEC) are advised to contact their GRAITEC office directly in order to get access their free PowerPack as part of their standard subscription contract. An array of AEC and MFG webinars taking place at Graitec! Graitec Ltd are running a number of free informative online webinars during October which all last approximately 90 minutes. If you are in the AEC or MFG industry then join us for one or more of these and bring along any software questions you may have. To find out more on each webinar, head over to GRAITEC UK website and take a look at the events page. Become an expert on everything to do with ‘bills of materials’ aka BOMs in Autodesk Vault Professional. 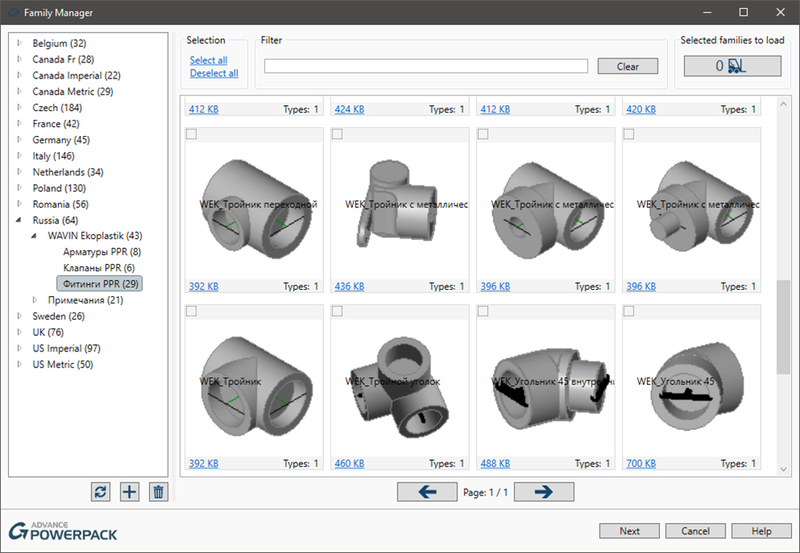 Learn all about the advance shape description tool set (T-Spline technology) in Autodesk Inventor. fit in with Digital Prototyping. Register for our Nastran In-CAD webinar and learn about simulation using design optimisation. Learn about key tools and features of the Autodesk Vehicle Tracking Software and how this can help you with comprehensive transportation analysis and design. Create, view, analyse and manage information using Infraworks 360. Learn about the tools and features of this software and how it integrates and assists with BIM. Revit Energy Analysis is a cloud service where you can compare estimated energy and lifecycle costs. Learn all about this service in our free webinar. We will be going over BIM Co-ordination, interoperability enhancements, real time navigation, measurement tools and much more in our Navisworks for BIM demo. Join us for this exclusive webinar and learn how the impressive breadth and depth of the Autodesk AEC Portfolio can help with the BIM Process. BIM is transforming the way organisations work. In this webinar learn all about building information modelling, as well as the 2016 UK Government BIM Strategy. In this webinar we will be going over numerous features of AutoCAD as well as what’s new in the 2016 software. Register your place on one of Graitec’s webinars today by clicking the button below and filling out the events form.